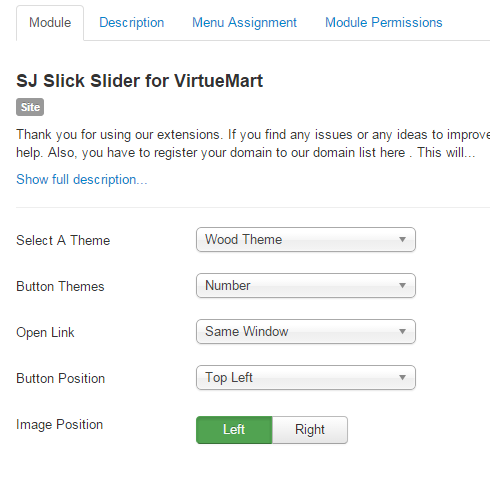 This guide will help you install SJ Slick Slider for VirtueMart step by step. 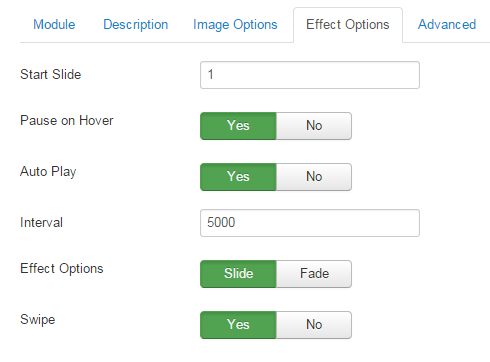 After installing, go to Extensions -> Module Manager and find SJ Slick Slider for VirtueMar to configure. 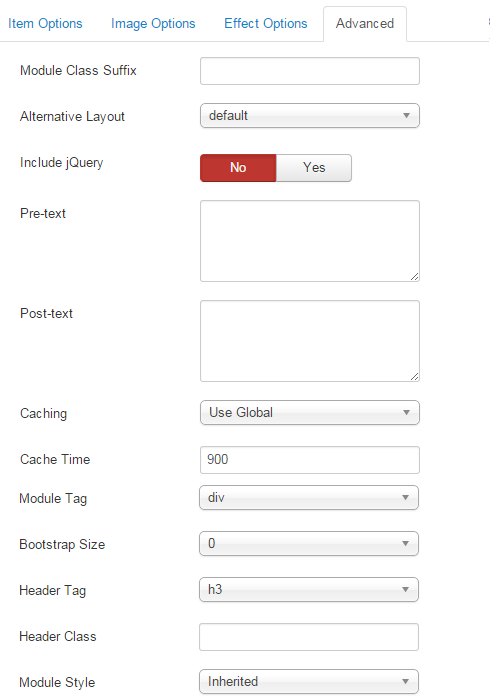 Select A Theme – Allow to select a theme for the module (wood theme or black theme). 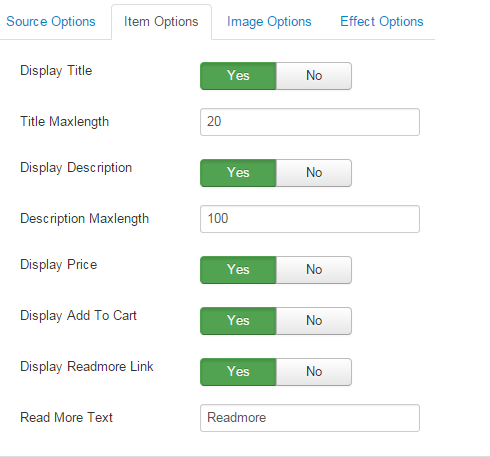 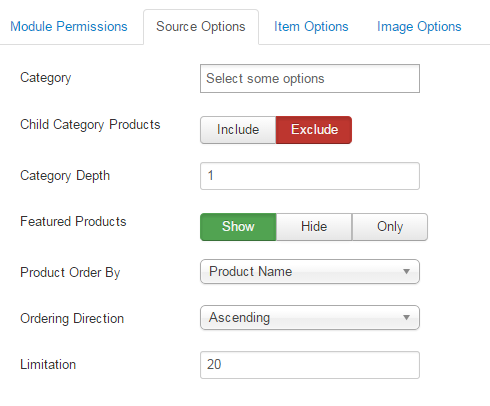 Button Themes – Allow to choose themes for button (number or cycle). 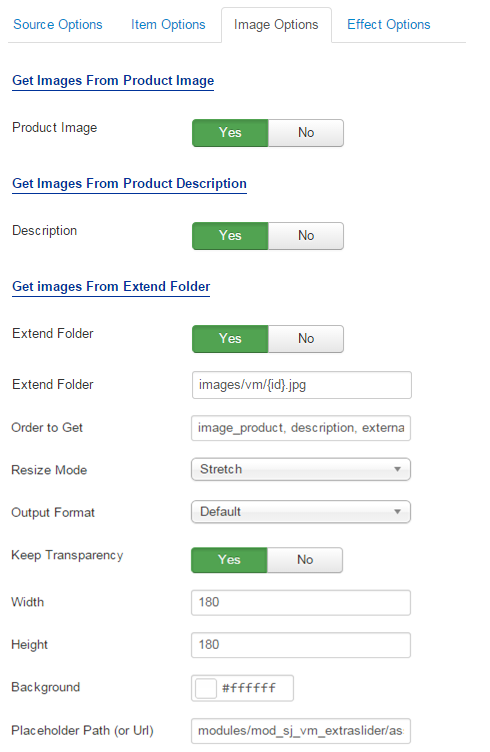 Image Position – Allow to choose position of image (left/right).